Potato (Solanum tuberosum L.) is one of the most important crops grown in Norway, and virus-free plants are required for commercial potato production and for preservation of potato germplasm. 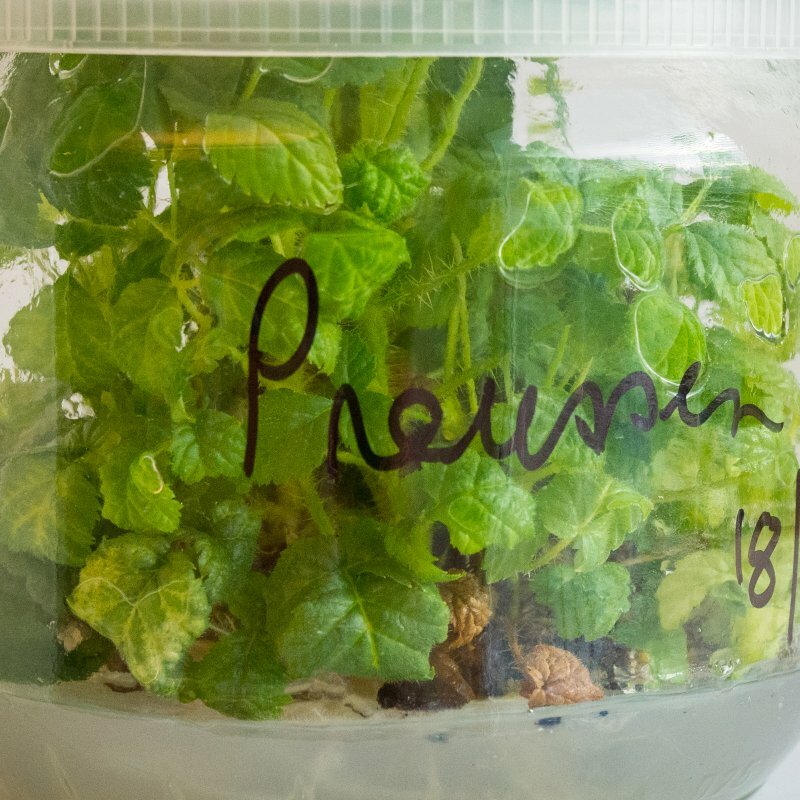 The present study evaluates three in vitro therapies – meristem culture, cryotherapy, and chemotherapy combined with thermotherapy – to eliminate viruses from eight historically valuable potato cultivars belonging to the Norwegian potato germplasm. Potato virus Y, potato virus M, potato virus X and potato virus S were present in eight selected old potato cultivars due to long-term conservation in open field. Double-antibody sandwich enzyme-linked immunological assay (DAS-ELISA) and biological indicators were the standard tests used to confirm virus infection in our study. Six virus-free plants from four potato cultivars were obtained after meristem culture, and no virus-free potato cultivars were obtained after cryotherapy. Virus-free frequency for eight different potato cultivars after combining chemotherapy with thermotherapy varied from 36.4% to 100%, with single virus elimination rates of between 74.2% and 92.9%. Chemotherapy compared with thermotherapy was the most effective of the three in vitro therapies used in this study. Highly sensitive small RNA high-throughput sequencing (HTS) was used to evaluate the virus status of potato virus-free materials after virus eradication, and no virus was found, which was consistent with the results of DAS-ELISA and biological indicators. Small RNA HTS has been reported for the first time to evaluate the virus status after virus elimination and to control virus-free potato nuclear stocks. Zhang, Z. & Blystad, D. 2018. Cryopreservation in Norway. Poster på III ISHS International Symposium on Plant Cryopreservation (CryoSymp2018, Thailand, mars 2018) (Poster). International Symposium on Plant Cryopreservation (CryoSymp2018, Thailand, mars 2018), Bangkok. Zhang, Z., Wang, M., Haugslien, S., Sivertsen, A., Rasmussen, M., Wang, Q. & Blystad, D. 2018. Cryopreservation of shallot (Allium cepa var. aggregatum) by droplet-vitrification. Poster at III ISHS International Symposium on Plant Cryopreservation (CryoSymp2018, Thailand, mars 2018) (Poster). III ISHS International Symposium on Plant Cryopreservation (CryoSymp2018). Minrui, W., Zhang, Z. & Blystad, D. 2018. Cryopreservation on the virus eradication of apple and shallot, Biotek-seminar, NIBIO. 16.05.2018 (Foredrag). Biotek-seminar, NIBIO, Ås. Plant Cell Culture Protocols. Methods in molecular biology 4(1815) 2018. s. 257-268. Virus diseases have been a great threat to production of economically important crops. In practice, the use of virus-free planting material is an effective strategy to control viral diseases. Cryotherapy, developed based on cryopreservation, is a novel plant biotechnology tool for virus eradication. Comparing to the traditional meristem culture for virus elimination, cryotherapy resulted in high efficiency of pathogen eradication. In general, cryotherapy includes seven major steps: (1) introduction of infected plant materials into in vitro cultures, (2) shoot tip excision, (3) tolerance induction of explants to dehydration and subsequent freezing in liquid nitrogen (LN), (4) a short-time treatment of explants in LN, (5) warming and post-culture for regeneration, (6) re-establishment of regenerated plants in greenhouse conditions, and (7) virus indexing. Viral diseases (a biotic stress) and salinity (an abiotic stress) have been/are the two major constraints for sustainable development of the world’s agricultural production including potato. Crops grown in field are often exposed simultaneously to abiotic and biotic stress, and responses of plants to co-stress by two or more factors may differ from those to each of the multiple stresses. Using in vitro cultures, we demonstrated that virus infection (singly and in combination) or salt, and co-stress by virus infection (singly and in combination) and salt significantly reduced growth and microtuber production, and caused severely oxidative cell damage determined by levels of O2·− and methane dicarboxylic aldehyde, and H2O2 localization in situ. Alterations in physiological metabolism by increasing total soluble sugar and free proline, and by decreasing chlorophyll content are responses of potato plantlets to virus infection (singly and in combination) or salt stress and co-stress by virus infection (singly and in combination) and salt. Oxidative cell damage and reduced chlorophyll content caused by virus and/or salt are believed to be responsible for the reduced growth, eventually resulting in decreased tuber yield. Results reported here would help us to better understand possible mechanism of reduced tuber yield by virus infection and/or salt stress. Zhang, Z., Spetz, C.J.J. & Blystad, D. 2018. High-throughput sequencing for plant virus diagnosis in Norway (Poster). COST-DIVAS FA1407 Final meeting, Liege. NIBIO Rapport, 4(55) 2018. 26 s.
Blystad, D., Hatteland, B.A. & Brurberg, M.B. 2018. Kartlegging av pærevisnesjuke 2016 og 2017. NIBIO Rapport 4(55). 26 s. NIBIO, Ås. Tilgjengelig fra: http://hdl.handle.net/11250/2501705. Pærevisnesjuke regnes som en av de mest alvorlige sjukdommene på pære. Pærevisnesjuke forårsakes av fytoplasma, små veggløse bakterier som lever i silvevet i planter Dette er en karanteneskadegjører i Norge som ble påvist her i landet for første gang i 2015. I 2016 og 2017 ble det gjenomført et OK-program for denne skadegjøreren. Det ble totalt analysert 853 prøver i OK-programmet i 2016. Det ble totalt påvist pærevisnesjuke i 72 av prøvene. Det ble påvist pærevisnesjuke i 10 av 44 undersøkte frukthager. I 2017 ble det undersøkt 260 prøver fra 14 lokaliteter i fire fylker. Det påvist pærevisnesjuke i 13 prøver fra to lokaliteter.I 2017 ble også innsamlede sugere testet for pærevisnesjuke. Av i alt 304 individer fra 6 lokaliteter var 21 individer fra to lokaliteter infisert. Availability of and easy access to diverse plant viruses and viroids is a prerequisite in applied and basic studies related to viruses and viroids. Long-term preservation of viruses and viroids is difficult. A protocol was described for long-term preservation of potato leafroll virus (PLRV), potato virus S (PVS), and potato spindle tuber viroid (PSTVd) in cryopreserved shoot tips of potato cv. Zihuabai. Shoot regrowth levels following cryopreservation were higher in 1.5 mm-shoot tips (58–60%) than in 0.5-mm-ones (30–38%). All shoots recovered from 0.5-mm-shoot tips were PVS- and PSTVd-preserved, but none of them were PLRVpreserved. Cryopreservation of 1.5-mm-shoot tips resulted in 35% and 100% of PLRV- and PVS- and PSTVd-preserved shoots. Studies on cell survival patterns and virus localization provided explanations to the varying PLRV-preservation frequencies produced by cryopreservation of the two sizes of shoot tips. Although micropropagation efficiencies were low after 12 weeks of subculture following cryopreservation, similar efficiencies were obtained after 16 weeks of subculture in pathogen-preserved shoots recovered from cryopreservation, compared with the diseased in vitro stock shoots (the control). Pathogen concentrations in the three pathogens-preserved shoots analyzed by qRT-PCR were similar to those in micropropagated shoots. The three pathogens cryopreserved in shoot tips were readily transmitted by grafting and mechanical inoculation to potato plants. PLRV, PVS, and PSTVd represent a diverse range of plant viruses and viroid in terms of taxonomy and infectious ability. Therefore, shoot tip cryopreservation opens a new avenue for long-term preservation of the virus and viroid. Ende, P.v.d., Stensbøl, Ø., Zhang, Z. & Blystad, D. 2018. The production of virus-free material of raspberry ´Ninni´ by combined thermo- and cryotherapy. Poster at III ISHS International Symposium on Plant Cryopreservation (CryoSymp2018, Thailand, mars 2018) (Poster). The production of virus-free material of raspberry ´Ninni´ by combined thermo- and cryotherapy. Poster at III ISHS International Symposium on Plant Cryopreservation (CryoSymp2018), Bangkok. Rapport – Virus i jordbær 2017. Resultater fra OK-programmet. NIBIO Rapport, 4(54) 2018. 20 s.
Blystad, D. & Spetz, C.J.J. 2018. Virus i jordbær 2017. Resultater fra OK-programmet.. NIBIO Rapport 4(54). 20 s. NIBIO, Ås. Tilgjengelig fra: http://hdl.handle.net/11250/2501703. Det ble sommeren 2017 gjennomført et kartleggingsprogram for å undersøke om importert plantemateriale av jordbær kunne være infisert av virus. Det ble tatt ut stikkprøver i jordbærfeltene hos utvalgte bærprodusenter som hadde baser sin produksjon på importerte planter, til sammen 150 prøver. Disse prøvene ble testet for fire bladlusoverførte virus som er relativt vanlige i Europa, men ikke i Norden: jordbær-nervebåndvirus (strawberry vein banding virus), jordbær-mildmosaikkvirus (strawberry mottle virus), jordbær-bladgulningvirus (strawberry mild yellow edge virus) og jordbærbladkrøllevirus (strawberry crinkle virus). Det ble påvist virus i prøver fra tre lokaliteter: strawberry crinkle virus ble funnet på tre steder, mens strawberry mild yellow edge virus ble funnet på ett sted i en prøve som hadde dobbeltinfeksjon med strawberry mild yellow edge virus og strawberry crinkle virus. Prøvene hadde ikke synlige symptomer. Zhang, Z., Spetz, C.J.J. & Blystad, D. 2017. Diagnosis, virus cleaning and cryopreservation of raspberry, blackberry and shallot (Rub&Al). Poster at Integrated crop protection (IPN) in Nordic and Baltic berry crops, NJF Seminar 493, Riga, Latvia, 30-31 Januar 2017 (Poster). NJF Seminar 493, Riga. Zhang, Z. & Blystad, D. 2017. Elimination of endophytes and cryopreservation of begonia (KryoBeg). Presentasjon for Prosjekt- og styringsgruppe i KryoBeg-prosjektet 16. feb 2017, Ås (Foredrag). Prosjekt- og styringsgruppe i KryoBeg-prosjektet, Ås. NIBIO Rapport, 3(37) 2017. 15 s.
Blystad, D. & Brurberg, M.B. 2017. Kartlegging av pærevisnesjuke 2016. NIBIO Rapport 3(37). 15 s. NIBIO, Ås. Tilgjengelig fra: http://hdl.handle.net/11250/2437145. Pære-visnesjuke regnes som en av de mest alvorlige sjukdommene på pære. Dette er en karanteneskadegjører i Norge som ble påvist her i landet for første gang i 2015. I 2016 har det blitt gjenomført et OK-program for denne skadegjøreren. Det ble totalt analysert 853 prøver i OK-programmet i 2016. Det ble totalt påvist pærevisnesjukefytoplasma i 72 av prøvene. Det ble påvist pærevisnesjukefytoplasma i 10 av 44 undersøkte frukthager. NIBIO Rapport, 3(39) 2017. 11 s.
Blystad, D. & Brurberg, M.B. 2017. Kartlegging for heksekost i eple 2015-2016. NIBIO Rapport 3(39). 11 s. NIBIO, Ås. Tilgjengelig fra: http://hdl.handle.net/11250/2436825. Det har vært overvåknings- og kartleggingsprogram (OK-program) for heksekost i eple hvert år siden 2011. Denne rapporten beskriver resultatene fra testing i OK-programmet for heksekost i eple i 2015 og 2016. I disse årene ble kartleggingsarbeidet målrettet for å avdekke eventuell infeksjon i importert eplemateriale av grunnstammer, pisker og trær. Det ble analysert i alt 640 rotprøver fra importsendinger i 2015 og 2016. Det ble ikke påvist heksekost-infeksjon i noen av disse prøvene. Blystad, D. & Zhang, Z. 2017. KRYOVIR – Effektiv virustesting og kryopreservering av potetforedlingslinjer og sorter, Presentasjon for Prosjekt- og styringsgruppe i KryoVir-prosjektet 6. feb 2017, Ås (Foredrag). Prosjekt- og styringsgruppe i KryoVir-prosjektet, Ås. Zhang, Z. & Blystad, D. 2017. Potato – viruses, healthy seed potatoes and cryopreservation. Norwegian Seed Savers Annual Meeting, 22. April 2017, Ås (Foredrag). Norwegian Seed Savers Annual Meeting, Ås. Blystad, D. & Zhang, Z. 2017. Potet - virus, friske settepoteter og kryopreservering. Potetseminar 6. nov 2017. Botanisk hage, Univeristetet i Bergen (Foredrag). Potetseminar, Milde, Bergen. Blystad, D. & Hatteland, B.A. 2017. Pære-visnesjuke (Pear Decline). Presentasjon for Mattilsynet, 10. Februar 2017 (Foredrag). Faglig møte i Mattilsynet, Ås / Ullensvang. Zhang, Z., Lee, Y., Spetz, C.J.J., Clarke, J.L., Sivertsen, A., Skjeseth, G., Haugslien, S., Wang, Q. & Blystad, D. 2016. Chrysanthemum stunt viroid in Argyranthemum-Distribution and Elimination. ISVDOP 14 (Foredrag). The 14th International Symposium on Virus Diseases of Ornamental Plants, Singapore. Blystad, D. & Zhang, Z. 2016. Elimination of endophytes and cryopreservation of begonia (KryoBeg). Presentasjon ved oppstartmøte 29. april 2016 (Foredrag). Kryobeg kick-off meeting. Plantehelse er viktig for bioøkonomien. Plantehelseforskningen i Norge 125 år. NIBIO Bok 4/2016(2) 2016. s. 53-56. NIBIO Rapport, 2(37) 2016. 23 s.
Blystad, D. & Brurberg, M.B. 2016. Kartlegging av heksekost i eple i 2014. NIBIO Rapport 2(37). 23 s. NIBIO, Ås. Tilgjengelig fra: http://hdl.handle.net/11250/2394105. NIBIO Rapport, 2(123) 2016. 18 s.
Blystad, D. 2016. Kartlegging for sharkavirus 2014-2015. NIBIO Rapport 2(123). 18 s. NIBIO, Ås. Tilgjengelig fra: http://hdl.handle.net/11250/2427867. Sharkavirus (Plum pox virus, PPV) er en karanteneskadegjører som har blitt funnet i plomme, fersken og aprikos i Norge. Første påvisning var i 1998. Siden da har det pågått et kartleggings- og utryddingsprogram med det mål å utrydde sharkavirus fra frukthager med kommersiell plommedyrking i Norge. Dette arbeidet ble fortsatt i 2014 og 2015 med testing av kvistprøver fra importpartier i perioden desember til april med henholdsvis 934 kvistprøver i 2014 og 1037 kvistprøver i 2015. Det ble ikke påvist sharkavirus i noen av disse prøvene. Frukthager med tidligere funn ble også fulgt opp i disse to årene. I 2014 ble det påvist sharkavirus i 13 av totalt 77 prøver. I 2015 var det funn i 16 av 49 prøver. Infiserte prøver var fra Leikanger og Svelvik og av sortene ‘Mallard’, Edda’ og ‘Valor’. Blystad, D. & Zhang, Z. 2016. Prentasjon av prosjektet for Graminor. llseng. 22. August 2016 (Foredrag). Visit. Blystad, D. & Zhang, Z. 2016. Presentasjon av prosjektet for ringledere i frukt og bær.Sogn 7.-8. juni 2016 (Foredrag). Sogn--Plantevernsamling. Blystad, D. & Zhang, Z. 2016. Virusrensing og kryopreservering. Presentasjon for Graminor 7. januar 2016 (Foredrag). Fagseminar for Graminor sine ansatte. Replication of all positive-sense single-stranded RNA viruses occurs in specific structures in close association with cellular membranes. Targeting of the viral replication complex (RC) to the site of replication is mediated by the interaction of viral-encoded proteins and host factors. Electron microscope studies have shown that Poinsettia mosaic virus (PnMV, family Tymoviridae) infection is associated with the presence of vesicular structures in the chloroplasts, which indicates that the replication of PnMV might occur in association with chloroplast-derived membranes. 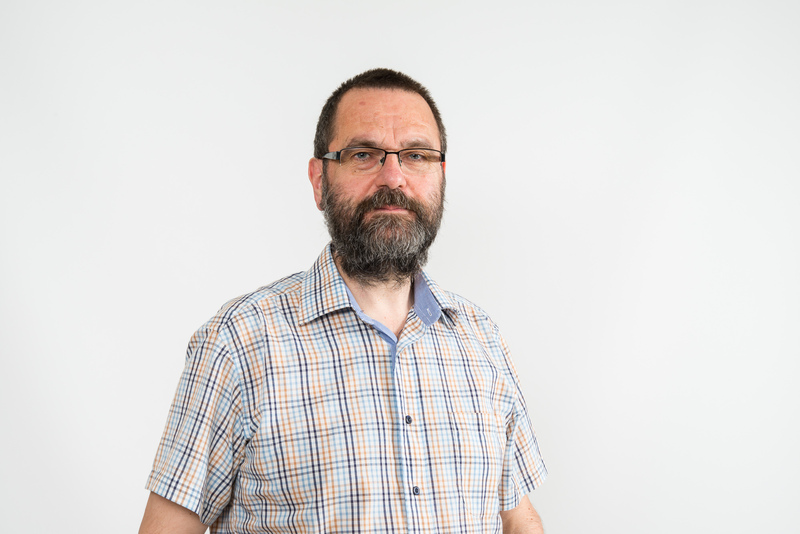 Using computer assisted homology search, we have identified that the coat protein (CP) of PnMV shows similarity to membrane bound proteins and contains a conserved amino acid sequence motif found in members of the Alb3/Oxa1/YidC protein family. This protein family is involved in the insertion of proteins into intracellular membranes. In this study we carried out localization studies combined with confocal laser microscopy to identify the cellular localization of the PnMV CP. Transient expression of red fluorescent protein (RFP)-tagged PnMV CP in Nicotiana benthamiana protoplast was shown to localize in the chloroplast. Bioforsk-konferansen 2015. Sammendrag av presentasjoner og plakater. Bioforsk FOKUS 2(10) 2015. s. 110. Bioforsk-konferansen 2015. Sammendrag av presentasjoner og plakater. Bioforsk FOKUS 2(10) 2015. s. 111. Bioforsk-konferansen 2015. Sammendrag av presentasjoner og plakater. Bioforsk FOKUS 2(10) 2015. s. 109. Islam, A., Clarke, J.L., Blystad, D., Gislerød, H.R., Torre, S. & Olsen, J.E. 2014. Control of shoot elongation and hormone physiology in poinsettia by light quality provided by light emitting diodes (Foredrag). 29th International Horticultural Congress, Brisbane. Chrysanthemum stunt viroid (CSVd) was first reported in US in the 1940s and is widespread in the world wherever chrysanthemum is grown. Cryotherapy of shoot tips, a new biotechnology developed in the recent years, is a novel application of plant cryopreservation techniques that allows pathogen eradication at a high frequency. Existing studies have proven that this technique can efficiently eradicate pathogens such as virus, phytoplasma and bacterium. However, up to now, there has been no report on viroid eradication. In the present study, we attempted to establish a droplet vitrification cryotherapy method for Argyranthemum and to apply it to eradicate CSVd. Results obtained so far demonstrated that cryotherapy of shoot tips alone failed to eradicate CSVd from the infected shoot tips of Argyranthemum maderense ‘Yellow Empire’. Using in situ hybridization of CSVd and histological analysis, we found that CSVd can invade meristematic cells and at the same time, these cells were able to survive following cryotherapy. These findings explained why cryotherapy of shoot tips alone could not be efficient enough to eradicate CSVd from the diseased materials. Further studies combining cold treatment with cryotherapy are under investigation for CSVd eradication. Talgø, V., Magnusson, C., Blystad, D., Brurberg, M.B., Perminow, J., Herrero, M. & Strømeng, G. 2014. Global og nasjonal handel med prydplanter - effektiv spredningsvei for planteødeleggende mikroorganismer og nematoder. Bioforsk TEMA 9(2). Bioforsk. Tilgjengelig fra: http://hdl.handle.net/11250/2443603. Bioforsk Rapport, 9(52) 2014. 85 s.
Blystad, D., Birkenes, S.M. & Brurberg, M.B. 2014. Kartlegging av heksekost i eple i 2013. Bioforsk Rapport 9(52). 85 s. Bioforsk, Ås. Tilgjengelig fra: http://hdl.handle.net/11250/2444583. Bioforsk Rapport, 9(63) 2014. 17 s.
Blystad, D. & Birkenes, S.M. 2014. Kartlegging for sharkavirus 2013. Bioforsk Rapport 9(63). 17 s. Bioforsk, Ås. Tilgjengelig fra: http://hdl.handle.net/11250/2443003. Haslestad, J., Huseby, S., Vereide, R., Christensen, D., Sønsteby, A., Blystad, D., Stensvand, A. & Trandem, N. 2014. Nytt brukerstyrt prosjekt om annethvertårsbæring, skuddtetthet og dvergsjuke i bringebær. Norsk frukt og bær, (1): 17. Roleda, M., Herrero, M., Rebours, C., Lysøe, E., Bruckner, C.G., Meland, M., Dees, M.W., Blystad, D., Borgvang, S.A., Karlsen, Å., Anda, A. & Novoa-Garrido, M. 2014. Seaweed diseases - unknown threats to the Norwegian seaweed industry (Poster). Bioforsk-konferansen 2014, Hamar. Bioforsk-konferansen 2014. Sammendrag og presentasjoner. Bioforsk FOKUS 2(9) 2014. s. 132. Bioforsk Rapport, 9(39) 2014. 29 s.
Blystad, D. 2014. Virus i stauder – forekomst og spredning. Bioforsk Rapport 9(39). 29 s. Bioforsk, Ås. Tilgjengelig fra: http://hdl.handle.net/11250/2441695. Wang, Q. & Blystad, D. 2013. Cryopreservation and cryotheraphy (Foredrag). Foredrag om kryometoder for ansatte på Sagaplant. Zhang, Z. & Blystad, D. 2013. Cryopreservation: an ideal means for long-term plant genetic resources conservation and plant pathogen eradication (Foredrag). PlantBio, Tromsø. Zhang, Z. & Blystad, D. 2013. Cryotherapy alone could not eradicate Chrysanthemum stunt viroid from infected Argyranthemum maderense Yellow Empire (Foredrag). 2nd International symposium on plant cryopreservation, Fort Collins, Colorado. Zhang, Z., Lee, Y., Haugslien, S., Sivertsen, A.H., Skjeseth, G., Clarke, J.L., Spetz, C.J.J., Wang, Q. & Blystad, D. 2013. Cryotherapy alone could not eradicate Chrysanthemum stunt viroid from infected Argyranthemum maderense ‘Yellow Empire’ (Poster). 2nd International symposium on plant cryopreservation, Fort Collins, Colorado. Blystad, D., Brurberg, M.B., Trandem, N. & Christensen, D. 2013. Dvergsjuke i bringebær. Norsk frukt og bær, (3): 30-31. Zhang, Z., Haugslien, S., Lee, Y., Sivertsen, A.H., Skjeseth, G., Clarke, J.L., Spetz, C.J.J., Wang, Q. & Blystad, D. 2013. Elimination of Chrysanthemum stunt viroid (CSVd) from infected Argyranthemum maderense ‘Yellow Empire’ (Poster). International Workshop on Viroids and Satellite RNA (IWVds), Beijing. Østerud, C., Islam, A., Olsen, J.E., Blystad, D., Torre, S., Hvoslef-Eide, T. & Clarke, J.L. 2013. Genetic engineering of GA biosynthesis by overexpressing PcGA2ox1 for restricting poinsettia plant height (Poster). Bioforsk-konferansen 2013, Hamar. Bioforsk-konferansen 2013. Sammendrag og presentasjoner. Bioforsk FOKUS 2(8) 2013. s. 386. Blystad, D. 2013. Heksekost - en trussel for norsk epleproduksjon (Foredrag). Bioforsk-konferansen 2013, Hamar. Bioforsk-konferansen 2013. Sammendrag og presentasjoner. Bioforsk FOKUS 2(8) 2013. s. 285-286. Bioforsk Rapport, 8(91) 2013. 16 s.
Blystad, D., Birkenes, S.M. & Brurberg, M.B. 2013. Kartlegging av heksekost i eple i 2012. Bioforsk Rapport 8(91). 16 s. Bioforsk, Ås. Tilgjengelig fra: http://hdl.handle.net/11250/2445609. Blystad, D. 2013. KRYOFRISk - kryopreservering av jordbær og viroidfrie margeritter (Poster). Bioforsk-konferansen 2013, Hamar. Blystad, D., Clarke, J.L., Haugslien, S., Sivertsen, A.H., Skjeseth, G., Zhibo, Z., Lee, Y., Rønningen, J.H., Søgnen, H.O., Ende, P.v.d. & Bjelland, B. 2013. KRYOFRISK- prosjektet, progresjon og foreløpige resultater 2013 (Poster). Bioforsk-konferansen 2013, Hamar. Bioforsk-konferansen 2013. Sammendrag og presentasjoner. Bioforsk FOKUS 2(8) 2013. s. 352-353. Blystad, D. & Rønningen, J.H. 2013. Kryometoder for rensing av planter og oppbevaring av friskt plantemateriale (Foredrag). Foredrag for statssekretæren i LMD, Ås. Blystad, D. 2013. Kryometoder for sikring av plantegenetiske ressurser (Foredrag). Bioforsk-konferansen 2013, Hamar. Bioforsk-konferansen 2013. Sammendrag og presentasjoner. Bioforsk FOKUS 2(8) 2013. s. 273-275. Zhang, Z. & Blystad, D. 2013. Localization of Chrysanthemum stunt viroid (CSVd) in two Argyranthemum cultivars (Foredrag). International Workshop on Viroids and Satellite RNAs (IWVdS),, Beijing. Islam, A., Lütken, H., Haugslien, S., Torre, S., Olsen, J.E., Blystad, D., Rasmussen, S.K. & Clarke, J.L. 2013. Overexpression of Arabidopsis SHORT INTERNODE (AtSHI) gene in poinsettia, Euphorbia pulcherrima, results in compact plants (Poster). Bioforsk-konferansen 2013, Hamar. Bioforsk-konferansen 2013. Sammendrag og presentasjoner. Bioforsk FOKUS 2(8) 2013. s. 385. Islam, A., Lütken, H., Haugslien, S., Steen, H.S., Blystad, D., Torre, S., Rolcik, J., Rasmussen, S.K., Olsen, J.E. & Clarke, J.L. 2013. Overexpression of the Atshi Gene in Poinsettia Results in Compact Plants (Poster). 7th EPSO Conference: Plants for a Greening Economy, Porto Heli. Euphorbia pulcherrima, poinsettia, is a non-food and non-feed vegetatively propagated ornamental plant. Appropriate plant height is one of the most important traits in poinsettia production and is commonly achieved by application of chemical growth retardants. To produce compact poinsettia plants with desirable height and reduce the utilization of growth retardants, the Arabidopsis SHORT INTERNODE (AtSHI) gene controlled by the cauliflower mosaic virus 35S promoter was introduced into poinsettia by Agrobacterium-mediated transformation. Three independent transgenic lines were produced and stable integration of transgene was verified by PCR and Southern blot analysis. Reduced plant height (21–52%) and internode lengths (31–49%) were obtained in the transgenic lines compared to control plants. This correlates positively with the AtSHI transcript levels, with the highest levels in the most dwarfed transgenic line (TL1). The indole-3-acetic acid (IAA) content appeared lower (11–31% reduction) in the transgenic lines compared to the wild type (WT) controls, with the lowest level (31% reduction) in TL1. Total internode numbers, bract numbers and bract area were significantly reduced in all transgenic lines in comparison with the WT controls. Only TL1 showed significantly lower plant diameter, total leaf area and total dry weight, whereas none of the AtSHI expressing lines showed altered timing of flower initiation, cyathia abscission or bract necrosis. This study demonstrated that introduction of the AtSHI gene into poinsettia by genetic engineering can be an effective approach in controlling plant height without negatively affecting flowering time. This can help to reduce or avoid the use of toxic growth retardants of environmental and human health concern. This is the first report that AtSHI gene was overexpressed in poinsettia and transgenic poinsettia plants with compact growth were produced. Islam, A., Haugslien, S., Blystad, D., Torre, S., Olsen, J.E., Lütken, H. & Clarke, J.L. 2012. Agrobacterium mediated transformation of AtSHI gene in poinsettia (Euphorbia pulcherrima) resulting in compact plants (Poster). Bioforsk-konferansen 2012, Gardermoen. Bioforsk-konferansen 2012. Sammendrag og presentasjoner. Bioforsk FOKUS 2(7) 2012. s. 197-198. Poinsettia is one of the most important potted ornamentals for Christmas. Appropriate plant height is an important trait in poinsettia production. Concern about the negative effects of chemical growth retardants has limited their availability and use. Generation of compact poinsettia plants by genetic transformation has become a promising approach. Abstract Strict control of morphogenesis is essential in production of potted poinsettia. Commonly, this is obtained by the use of plant growth retardants (PGRs), often in combination with early morning temperature drops. Due to negative effects on human health and the environment, the use of PGRs is becoming restricted. Also, energy-saving growth regimes and periods of high temperatures limit effective use of temperature drops. In the present study the use of a high proportion of blue (B) light provided by light emitting diodes [LEDs, 20% blue (B), 80% red (R)] was compared with traditional high pressure sodium (HPS) lamps (5% B) providing similar phytochrome photostationary state to produce compact poinsettia plants. Both in the greenhouse and growth chamber, all cultivars were 20–34% shorter for LED compared to HPS grown plants. Also, leaf and bract area as well as chlorophyll content and total dry matter accumulation were lower under LED. The LED did not delay bract color formation, visible cyathia and flowering compared to HPS, and no difference in post production performance (cyathia/bract abscission or necrosis) between the two light treatments was found. The effect of end of day-red (EOD-R) lighting combination with LED and HPS supplemental lamps during the photoperiod in the greenhouse was also investigated. Reduced stem extension (13%) was observed under HPS only and for one of the two cultivars tested, whereas under the LED regime, there was no effect of EOD-R lighting. Østerud, C., Islam, M.A., Olsen, J.E., Blystad, D., Torre, S., Hvoslef-Eide, A.K. & Clarke, J.L. 2012. Genetic engineering of GA biosynthesis by overexpressing PcGA2ox1 for restricting poinsettia plant height (Poster). Plant Biology Conference. Blystad, D., Toppe, B., Holst, M., Brurberg, M.B. & Knutsen, R. 2012. Heksekost i eple - status etter 2011. Norsk frukt og bær, (3): 6-7. Bioforsk FOKUS, 7(9) 2012. 48 s.
Blystad, D. & Spetz, C.J.J. 2012. ISVDOP 13. The 13th International Symposium on Virus Diseases of Ornamental Plants Norway, June 24-29, 2012. Book of abstracts. Bioforsk FOKUS 7(9). 48 s. Bioforsk. Tilgjengelig fra: http://hdl.handle.net/11250/2451493. Bioforsk Rapport, 7(39) 2012. 12 s.
Spetz, C.J.J., Øystein, R. & Blystad, D. 2012. Kartlegging for pospiviroid i 2011. Bioforsk Rapport 7(39). 12 s. Bioforsk, Ås. Tilgjengelig fra: http://hdl.handle.net/11250/2451458. Det ble våren 2011 igangsatt et overvåkingsprogram for viroider i prydplanter i søtvierfamilien. Det ble analysert i alt 158 prøver av ulike arter og sorter. Prøvene ble først analysert med en PCRmetode som påviser alle viroider i slekten pospiviroider. Hver prøve ble deretter identifisert til art ved hjelp av sekvensering. Det ble påvist viroider i 19 prøver (12 % av prøvene). Potato spindle tuber viroid (PSTVd) ble påvist i 1 prøve av Petunia. Tomato apical stunt viroid (TASVd) ble påvist i til sammen 15 prøver: 1 prøve av Brugmanisa, 11 prøver av Solanum jasminoides og 3 prøver av S. rantonetti. Citrus exocortis viroid (CEVd) ble påvist i 3 prøver av S. jasminoides. Bioforsk Rapport, 7(113) 2012. 11 s.
Blystad, D. & Birkenes, S.M. 2012. Kartlegging for sharkavirus i 2011. Bioforsk Rapport 7(113). 11 s. Bioforsk, Ås. Tilgjengelig fra: http://hdl.handle.net/11250/2447485. Sharkavirus (Plum pox virus, PPV) er en karanteneskadegjører som har blitt funnet i plomme, fersken og aprikos i Norge. Første påvisning var i 1998. Siden da har det pågått et kartleggings- og utryddingsprogram med det mål å utrydde sharkavirus fra frukthager med kommersiell plommedyrking i Norge. Det ble testet 2323 prøver for sharkavirus i 2011. Av disse var 1739 innsendt som OK-prøver. I alt 37 prøver slo ut positiv for sharkavirus. Disse representerer 21 trær på 10 lokaliteter. I alt 7 av disse 10 lokalitetene var nye funnsteder der vi ikke har påvist sharkavirus før, og 3 var lokaliteter der smitten hadde blitt påvist tidligere og ikke blitt utryddet. Siden 1998 har det blitt testet mer enn 80 000 trær på 816 lokaliteter (frukthager, privathager, planteskoler og hagesentere). Det har blitt påvist sharkavirus på 78 lokaliteter. Vi kan regne smitten for å være utryddet på 82 % av disse lokalitetene. Med en god oppfølging som har inkludert grundig inspeksjon, testing av alle plommetrær på lokaliteter med smitte, og rydding av infiserte trær, har en lykkes godt med å rydde smitte i alle viktige fruktområder. Det er imidlertid et problem at virkningen av bekjempelsesarbeidet blir dårligpå grunn av at det følger med smitte med nytt plantemateriale som importeres til å etablere nyplantinger. Blystad, D., Clarke, J.L., Haugslien, S., Sivertsen, A.H., Skjeseth, G., Zhibo, Z., Rønningen, J.H., Søgnen, H.O., Ende, P.v.d. & Bjelland, B. 2012. KRYOFRISK- prosjektet, progresjon og foreløpige resultater (Poster). Bioforsk-konferansen 2012, Gardermoen. Islam, M.A., Lütken, H., Haugslien, S., Torre, S., Olsen, J.E., Blystad, D., Rasmussen, S.K. & Clarke, J.L. 2012. Overexpression of Arabidopsis SHORT INTERNODE (AtSHI) gene in poinsettia (Euphorbia pulcherrima) results in compact plants (Foredrag). Plant Biology Conference. Vitenskapelig – Potato virus Y NTN - new virus, or an old one in disguise? Bioforsk-konferansen 2012. Sammendrag og presentasjoner. Bioforsk FOKUS 2(7) 2012. s. 123. Islam, M.A., Lütken, H., Haugslien, S., Torre, S., Olsen, J.E., Blystad, D., Rasmussen, S. & Clarke, J.L. 2012. Production of compact poinsettia (Euphorbia pulcherrima Willd. Ex Klotzsch) plants by using Agrobacterium-mediated transformation (Foredrag). 3rd world congress in biotechnology, Hydrabad. Blystad, D. 2012. Survey for apple proliferation presence in orchards close to nurseries in Norway in 2011 (Foredrag). Workshop Phytoplasmas in fruit trees: multidisciplinary approaches toward disease management, Roma. Blystad, D. 2012. 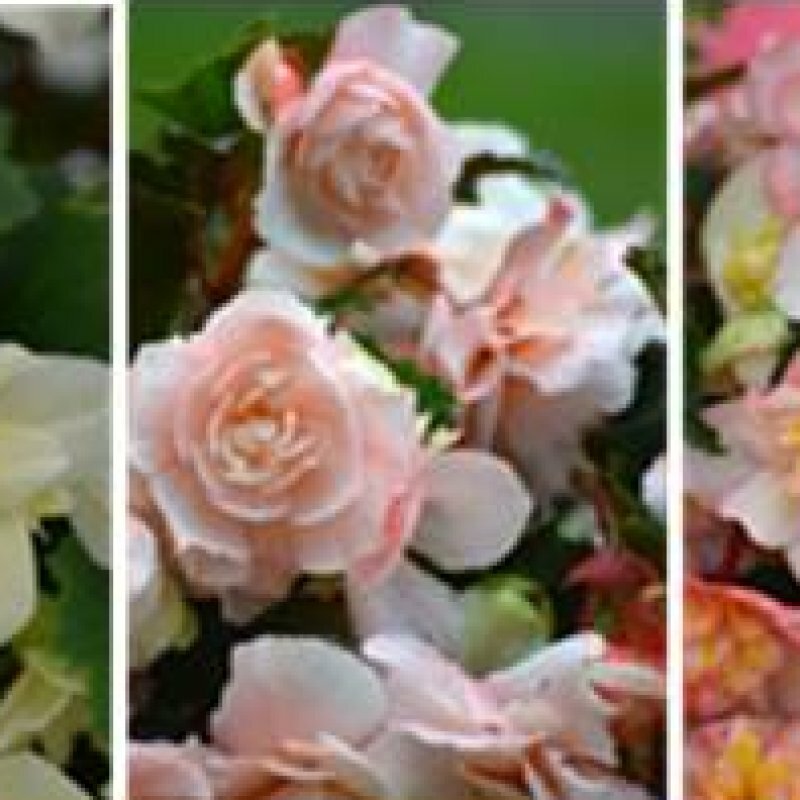 The effect of Kalanchoë mosaic virus on growth and development of four cultivars of Kalanchoë blossfeldiana (Foredrag). 13th International Symposium on Virus Diseases of Ornamental Plants, Ski og Grimstad. Bioforsk TEMA, 7(8) 2012. 8 s.
Blystad, D., Brurberg, M.B., Fløistad, E. & Spetz, C.J.J. 2012. Viroid-sjukdommer i tomat. Bioforsk TEMA 7(8). 8 s. Bioforsk, Ås. Tilgjengelig fra: http://hdl.handle.net/11250/2451208. Tomato chlorotic dwarf viroid ble nylig påvist i et tomatgartneri i Rogaland. Påvisning av viroid som skadegjører i tomat representerer noe nytt for plantehelsesituasjonen i Norge. Til tross for at dette viroidet ikke står på karante¬nelister, har det blitt rapportert om store skader ved angrep i veksthus i andre europeiske land. De siste 10 årene har det blitt klart at mange viroid opptrer latent i prydplanter, og at mange av de samme viroidene kan forårsake sterke symptomer og skade i tomat. De to viktigste spredningsveiene inn til tomatveksthusene er kontaktsmitte fra prydplanter som ikke viser symptomer, og frøsmitte. Verden over er det store økonomisk og avlingstap på grunn av plantesjukdommer som følger plantemateriale hvert år. I Norge har vi et godt etablert fremavlssystem, et systematisk arbeid for å fremskaffe friskt plantemateriale av vegetativt formerte vekster. Målet er å produsere sortsriktig plantemateriale som er friskt og som derfor har fullt potensiale til å gi optimal avling og kvalitet. Kryoteknologien, en veletablert teknologi, har potensiale til å effektivsere dette arbeidet, både med hensyn på rensing og oppbevaring av plantemateriale. Blystad, D.-R. 2011. Kunnskapsbasert produksjon av friske epletrær. Foredrag v. Åpning av Sagaplant sitt karanteneanlegg, Sauherad, 1. desember. Blystad, D., Toppe, B., Brurberg, M. & Sørum, O. 2011. New cases of Apple proliferation phytoplasma in Norway. Apple proliferation (AP), Candidatus Phytoplasma mali, is listed as a quarantine diseasein Norway. Until 1996 it was never reported in the country. A national survey inthe years 1996 and 1997 revealed 14 diseased trees in orchards throughout the country.In September 2010, however, a new more serious outbreak of AP occurred in the countyof Sogn og Fjordane. This has led to new surveys and a new focus on this diseasein Norway. Vitenskapelig – Nye pospiviroid – en trussel for tomat- og potetdyrking i Norge? I denne artikkelen er det fokus på godt kjente og nye, mindre kjente sjukdomar på frukttre som alle kan gi alvorleg skade. Meland, J., Blystad, D., Hjeltnes, S., Schia, K. & Rønningen, J. 2011. Sertifisert produksjon av epletrær. Norsk epledyrking er under sterk omlegging. Nydyrkingsteknikk, nye sorter og samtidig mange utfordringer når det gjelderplantehelse, gjør at det er stort behov for kraftige, friske og sortsekteepletrær av aktuelle sorter. I det brukerstyrte innovasjonsprosjektet (BIP)“økt konkurransekraft i norsk produksjon av epletrær” (2008- 2011) eid avSagaplant, er et av delmålene å definere kravene til sertifisert produksjon aveple, og hvordan de skal settes ut i livet under norske forhold. Bioforsk-konferansen 2011. Bioforsk FOKUS 2(6) 2011. s. 128-129. EAPR 2010. 14th triennial meeting of the Virology Section of the European Association for Potato Research (EAPR) Hamar, Norway 4th — 9th July 2010. Book of abstracts. Bioforsk FOKUS 5(5) 2010. Bioforsk FOKUS, 5(5) 2010. 60 s.
Spetz, C.J.J. & Blystad, D. 2010. EAPR 2010. 14th triennial meeting of the Virology Section of the European Association for Potato Research (EAPR) Hamar, Norway 4th — 9th July 2010. Book of abstracts. Bioforsk FOKUS 5(5). 60 s. Bioforsk. Tilgjengelig fra: http://hdl.handle.net/11250/2460572. Bioforsk TEMA, 5(21) 2010. 4 s.
Blystad, D., Fløistad, E. & Brurberg, M.B. 2010. Heksekost på eple – nye utbrudd. Bioforsk TEMA 5(21). 4 s. Bioforsk. Tilgjengelig fra: http://hdl.handle.net/11250/2460427. Heksekost på eple er en karanteneskadegjører. Høsten 2010 er det påvist heksekost i eple fra 11 frukthager, 10 i Sogn og 1 i Telemark. Sannsynligvis står det infiserte trær på mange flere steder. I Sogn er det funnet heksekost både i Leikanger/Hermansverk, Slinde, Ylvisåker og Lærdal. I frukthagene med påvist smitte var det tydelig redusert fruktstørrelse på flere sorter, særlig var dette framtredende i sorten Discovery. Blystad, D. 2010. Julestjerne – en verdsatt blomst med mange muligheter. Foredrag, Ås, 23.9.2010. Clarke, J.L., Blystad, D.-R. & Fløistad, E. 2010. Julestjerne – populær blomst og nyttig forskningsverktøy. Norsk Hagetidend 10:s64. Julestjerne er en av de viktigste potteplantene i verden. Julestjerne er den potteplanten det lages flest av i Norge, rundt 6 millioner planter hvert år. Førstehåndsverdien for julestjerne produsert i Norge er rundt 75 mill kroner og utsalgsprisen 4-5 ganger høyere. Blystad, D. 2010. Pepino mosaic virus infection in potato and other solanaceous host and test plants. Foredrag, Hamar 6.7.2010. Clarke, J.L., Spetz, C.J.J., Haugslien, S., Dees, M.W., Moe, R. & Blystad, D. 2010. Production of transgenic Poinsettia with Resistance against Poinsettia mosaic virus (PNMV) using Agrobacterium-Mediated Transformation. Acta Horticulturae, International Society for Horticultural Science. Acta Horticulturae. 2010. s. 91-108. Spetz, C.J.J., Clarke, J.L., Dees, M.W., Haugslien, S., Moe, R. & Blystad, D. 2010. RNA silencing-based resistance in Nicotiana benthamiana is transiently broken by graft inoculation of Poinsettia mosaic virus. Acta Horticulturae, s. 91-108. International Society for Horticultural Science. Blystad, D.-R. 2010. Studies on phytoplasma in Norway – apple proliferation and Poinsettia-branch inducing phytoplasma. Foredrag, Spania, 2.2.2010. Blystad, D.-R, Bone, K.R., Brurberg, M.B., Fløistad, E., Moe, R., Sletten, A., Davies, D.L., Spetz, C.J.J. & Klemsdal, S.S. 2010. Studies on phytoplasma in Norway – apple proliferation and Poinsettia-branch inducing phytoplasma. Current status and perspectives of phytoplasma disease research and management (2010) :p59. We have beendoing research on two phytoplasma diseases relevant for Norwegian plantproduction. Theoccurrence of Apple proliferation phytoplasma in NorwayOurinstitute was made aware of suspicious symptoms in 1996. A few trees of apple‘Summerred’ in Gvarv, Telmark County, had symptoms looking like appleproliferation. This case initiated a survey. The first samples were analyzed inEngland. Later we have done the PCR-diagnosis in our own lab.During asurvey carried out from 1996 to 1998, Apple proliferation was found in 14orchards: 1 experimental orchard inTelemark County, 4 orchards in Vestfold County, 4 orchards in Hordaland Countyand 5 orchards in the County of Sogn og Fjordane.Appleproliferation has later also been found at other locations. From this we canconclude that this quarantine disease is found in almost all importantfruit-producing districts. It is important to follow the situation to stopfurther spread of this disease. All infected trees have been eradicated.Theamount and distribution of Poinsettia branch-inducing phytoplasma in poinsettiaFree-branchingpoinsettias (Euphorbia pulcherrima) were first introduced during the sixties throughthe Norwegian cultivar ‘Annette Hegg’. The identity of the “branching agent”,was proven to be a phytoplasma, termed Poinsettia branch-inducing phytoplasma(PoiBI) (Lee et al. Int. Journal of Syst. Bacteriology 48,1153-1169.1998).Without phytoplasma, poinsettias grow tall, and produce very few branches.We havestudied the relative amount and distribution of PoiBI in poinsettia and howthis relates to branching in different cultivars grown under different lightlevels and temperatures using a quantitative PCR assay (TaqMan). Results fromthis work were presented. Blystad, D-R., Knudsen, R., Spetz, C.J.J., Haugslien, S., Ørstad, K., Cambra, M. & Munthe, T. 2010. Survey on Plum pox virus in Norway. Julius-Kühn-Arkiv 2010(427):351-352. In 1998 Plum pox virus (PPV) wasdetected for the first time in Norway. Virus-like symptoms were observed on several trees in a collection ofplum cultivars at Njøs Research Station in the Sogn og Fjordane County in WestNorway. The Norwegian Food SafetyAuthority and the Norwegian Crop Research Institute immediately startedsurveying other variety collections around the country, nuclear stock materialand orchards in all important plum-growing areas. Since 1998 we have surveyed themain part of the commercial plum orchards in Norway. About 75 000 individualtrees have been tested. About 1 % of the trees have been found infected by PPV.Only the PPV-D strain has been found. It is suspected that the main infectionsource was infected plums or apricots imported to Njøs around 1970 or earlier.In most plum orchards in Norway,the spread of PPV by aphids is relatively slow. Therefore, we expect to be ableto eradicate PPV from commercial plum orchards in the near future.The eradication work iscontinuing. Julestjerne er den potteplanten det lages flest av i Norge, rundt 6 mill planter hvert år. Førstehåndsverdien for julestjerne produsert i Norge er rundt 75 mill kr og utsalgsprisen 4-5 ganger høyere. Julestjerne er også en av de viktigste potteplantene i verden. I USA omsettes årlig ca 60 mill og i Europa ca 100 mill planter. I Kina blir julestjerne mer og mer verdsatt. Den blir brukt til pynting på offentlige steder og ved feiring av nasjonaldagen. Julestjerne vil fortsatt dominere blomstermarket i både Norge og verden forøvrig. Bioforsk Plantehelse har forsket på virus og andre sjukdommer i julestjerne siden 1990-tallet. Vi har brukt nye metoder for genetisk transformering og ny kunnskap om planters resistens mot virus. Nå har vi en genmodifisert julestjerne som er resistent mot et vanlig virus, poinsettiamosaikkvirus. Resultatene fra dette arbeidet er ikke bare et spennende plantemateriale. Vel så viktig er etableringen av en metode for genetiske transformering av julestjerne. Det åpner muligheter for å lage planter som både er mer kompakte og mer resistente mot viktige skadegjørere. Slike planter kan dyrkes fram med redusert bruke av kjemikalier - noe som er svært viktige for en mer miljøvennlig dyrking. Blystad, D.R., Clarke, J.L., Haugslien, S., Dees, M.W., Fløistad, E., Xing, S. & Spetz, C.J.J. 2010. Virusresistent julestjerne. Bioforsk FOKUS 5(2):66-67. Virus og fytoplasma i julestjerne har vært et forskningsfelt ved Bioforsk Plantehelse siden 1990-tallet. Vi har kombinert dette med ny kunnskap om gen-transformering. I 2009, etter flere års FoU-arbeid, er vi kommet så langt at vi har dyrket virusresistent julestjerne i et mindre forsøk i et gartneri. Nå er det naturlig å summere opp resultater vi har oppnådd og muligheter som åpner seg. Spetz, C.J.J., Clarke, J.L., Dees, M.W., Haugslien, S., Moe, R. & Blystad, D.-R. 2009. Analysis of transgenic resistance to Poinsettia mosaic virus in genetically engineered Nicotiana benthamiana. Poster, The Norwegian Biochemical Society 45th contact meeting, Røros. En presentasjon for Landbruks- og matdepartementet om virus, julestjerne og muligheter og risikoer som GMO-basert resistens mot plantevirus kan gi. Blystad, D. 2009. Pepinomosaikkvirus - nye forksningsresultater. Foredrag. Jæren 08.12.2009. Nye resultater angående frøoverføring og stammer av viruset fra EU-prosjektet Pepeira. Bioforsk-konferansen 2009. Mat, vann og klima. Bioforsk FOKUS 2(4) 2009. s. 170-171. Pepinomosaikkvirus (Pepino mosaic virus, PepMV, slekt Potexvirus), er listet på EPPO’s “alert list” og blir vurdert som karantenevirus i flere europeiske land. Det har vært usikkerhet om hva som er viktige spredningsveier for dette viruset, og forskjellige land har praktisert ulikt med hensyn på forholdsregler og bekjempelsesstrategier. Annet – Plantevernleksikonet. 5 artikler om virus på potteplanter. Plantevernleksikonet. Skadegjørere: Krysantemumvirus B Poinsettiamosaikkvirus Kalanchoë-mosaikkvirus Agurkmosaikkvirus TomataspermivirusFor hver skadegjører gis en oversikt over symptomer/skadevirkning, vertplanter, overlevelse og spredning og bekjempelse. Annet – Plantevernleksikonet. 8 artikler om virus i potet. Plantevernleksikonet. Skadegjørere: Potetvirus X Potetvirus M Potetvirus S Potetvirus A Potetvirus V Potetvirus Y Potetaucubamosaikkvirus PotetbladrullevirusFor hver skadegjører gis en oversikt over symptomer/skadevirkning, vertplanter, overlevelse og spredning og bekjempelse. Talgø, V., Toppe, B., Blystad, D., Sletten, A., Gjærum, H.B., Herrero, M., Andersen, A., Stensvand, A., Sundbye, A., Singh, H.M. & Gjærum, H.B. 2009. Skadegjerarar på grøntanleggsplanter. FAGUS fakta, 6(3):25 s.
Det er mange planter ein må unngå eller vera varsam med å bruka i grøntanlegg på grunn av skadegjerarar. Nokre er det forbod mot å planta, så som pile- og bulkemispel, på grunn av pærebrann. Eit anna døme er ask, der det no er restriksjonar på flytting av askeplanter til smittefrie soner på grunn av askeskotsjuke. Dessutan er det mange planteartar og -sortar som er så utsette for skade at ein i mange anlegg bør unngå dei på grunn av redusert prydverdi, til dømes hagtorn som er svært utstatt for hagtornrust dersom det veks vanleg einer i nærleiken. Her har vi også tatt med ein del planteartar som år om anna vert meir eller mindre skadde ved nokre lokalitetar, til dømes barlind og laurbærhegg. Vi meiner ikkje at desse plantene bør ut av bruk, men vi vil berre gjera merksam på problem som kan førekoma. In 1998 Plum pox virus (PPV) was detected for the first time in Norway. Virus symptoms were observed on several trees in a collection of plum cultivars at Njøs Research Station in the Sogn og Fjordane County in West Norway. The Norwegian Food Safety Authority and the Norwegian Crop Research Institute immediately started surveying other variety collections around the country, nuclear stock material and orchards in all important plum-growing areas. Since 1998 we have surveyed the main part of the commercial plum orchards in Norway. About 75 000 individual trees have been tested. About 1 % of the trees have been found infected by PPV. Only the PPV-D strain has been found. It is suspected that the main infection source was infected plums or apricots imported to Njøs around 1970 or earlier.In most plum orchards in Norway, the spread of PPV by aphids is relatively slow. Therefore, we expect to be able to eradicate PPV from commercial plum orchards in the near future.The eradication work is continuing. Blystad, D. 2009. Virusfri julestjerne - en mulighet som bør utvikles videre. Foredrag. Ulvik, 25.11.2009. Bioforsk-konferansen 2009. Mat, vann og klima. Bioforsk FOKUS 2(4) 2009. s. 236-237. Clarke, J.L., Spetz, C.J.J., Haugslien, S., Blystad, D-R., Dees, M.W., Xing, S. & Moe, R. Agrobacterium tumefaciens-mediated transformation of poinsettia, Euphorbia pulcherrima, with hairpin RNA constructs confers resistance to Poinsettia mosaic virus, april 2008. Agrobacterium tumefaciens-mediated transformation of poinsettia, Euphorbia pulcherrima, with hairpin RNA constructs confers resistance to Poinsettia mosaic virus . Abstract Poinsettia (Euphorbia pulcherrima Willd. Ex Klotzsch), is a contemporary symbol of Christmas in most parts of the world. Today, Europe and North America represent the largest volume of production and sales, but demand is growing quickly in the other regions as poinsettia becomes more popular each year. In Norway, poinsettia is one of the most important pot plants, with a yearly production close to 6 million plants. Its ornamental value and innovation potential have laid the foundation for extensive research in Norway and elsewhere. Poinsettia mosaic virus (PnMV) can cause diseases in modern poinsettia cultivars. PnMV is a single-stranded, positive-sense RNA virus that belongs to the family Tymoviridae. Infection of poinsettia plants with PnMV results in mosaic symptoms during parts of the growing season, which in turn decreases the commercial value of this ornamental plant. Thus, growers are interested in the potential benefits of growing PnMV-free poinsettias. PnMV-free poinsettia plants can be obtained by heat treatment or in vitro culture of apical meristems, which are time-consuming and cost-ineffective methods. There is a need for a new and effective alternative approach, like Agrobacterium-mediated transformation, which can overcome these difficulties. Therefore, we have developed an Agrobacterium-mediated transformation approach for poinsettia for the first time. Internode stem explants of poinsettia cv. Millenium were transformed by Agrobacterium tumefaciens, strain LBA 4404, harbouring three hairpin (hp) RNA gene constructs to induce RNA silencing-mediated resistance to Poinsettia mosaic virus (PnMV). Prior to transformation, an efficient somatic embryogenesis system was developed for poinsettia cv. Millenium in which about 75 % of the explants produced somatic embryos. In five experiments utilizing 868 explants, 18 independent transgenic lines were generated. Stable integration of transgenes into the poinsettia nuclear genome was confirmed by PCR and Southern blot analysis. Both single- and multiple-copy transgene integration into the poinsettia genome were detected among transformants. Northern blot analysis confirmed the production of transgene-derived small interfering RNAs (siRNAs). Transgenic lines showing resistance to mechanical inoculation of PnMV were detected by double antibody sandwich enzyme-linked immunosorbent assays (DAS-ELISA). The Agrobacterium-mediated transformation methodology developed in the current study should facilitate improvement of this ornamental plant with enhanced disease resistance, quality improvement and desirable colour alteration. Because poinsettia is a non-food, non-feed plant and is not propagated through sexual reproduction, this is likely to be more acceptable even in areas where genetically modified crops are currently not cultivated. Agrobacterium-mediated transformation for poinsettia (Euphorbia pulcherrima Willd. Ex Klotzsch) is reported here for the first time. Internode stem explants of poinsettia cv. Millenium were transformed by Agrobacterium tumefaciens, strain LBA 4404, harbouring virus-derived hairpin (hp) RNA gene constructs to induce RNA silencing-mediated resistance to Poinsettia mosaic virus (PnMV). Prior to transformation, an efficient somatic embryogenesis system was developed for poinsettia cv. Millenium in which about 75% of the explants produced somatic embryos. In 5 experiments utilizing 868 explants, 18 independent transgenic lines were generated. An average transformation frequency of 2.1% (range 1.2-3.5%) was revealed. Stable integration of transgenes into the poinsettia nuclear genome was confirmed by PCR and Southern blot analysis. Both single- and multiple-copy transgene integration into the poinsettia genome were found among transformants. Transgenic poinsettia plants showing resistance to mechanical inoculation of PnMV were detected by double antibody sandwich enzyme-linked immunosorbent assay (DAS-ELISA). Northern blot analysis of low molecular weight RNA revealed that transgene-derived small interfering (si) RNA molecules were detected among the poinsettia transformants prior to inoculation. The Agrobacterium-mediated transformation methodology developed in the current study should facilitate improvement of this ornamental plant with enhanced disease resistance, quality improvement and desirable colour alteration. Because poinsettia is a non-food, non-feed plant and is not propagated through sexual reproduction, this is likely to be more acceptable even in areas where genetically modified crops are currently not cultivated. In greenhouse rose production, there is a trend towards the use of extreme long days (up to 24 hours lighting) and high light intensity to reduce problems with powdery mildew. Continuous lighting has been found to have adverse effects on some insects as well. The effect of continuous lighting on the survival, development and fecundity of the greenhouse whitefly, Trialeurodes vaporariorum on cut roses was investigated in climatic chambers with artificial light at 21oC and 70% RF. Compared to whiteflies exposed to 20:4 hours L:D, whiteflies exposed to continuous lighting had lower egg and larval/pupal survival, and lower fecundity and female longevity. Egg and egg-adult developmental time was only slightly affected. Populærvitenskapelig – Kan potetvirus Y være årsak til sprekking i potet? Plantemøtet 2008. Grønnsaker, Genressurser, Kulturlandskap, Korn, Proteinvekster/frø, Potet, Grovfôr, Plantehelse/Plantevern, Jord/miljø. Bioforsk FOKUS 1(3) 2008. s. 124-125. Potetvirus Y (PVY) er kjent som en alvorlig skadegjører i potet. Vanligvis gir PVY nekroser og mosaikk i bladverk og nedsatt avling. Observasjoner i 2006 og forsøk i 2007 knytter i tillegg forekomsten av vekstsprekker i knollene til PVY-infeksjon. Meadow, R., Brandsæter, L.O., Birkenes, S.M., Hermansen, A., Ascard, J., Bysveen, K., Andersen, A., Berge, T.W., Blystad, D.R., Hammeraas, B., Holgado, R., Munthe, T., Skuterud, R. & Sletten, A. 2008. I: Meadow, Brandsæter, Birkenes & Hermansen (red. ), Plantevern og plantehelse i økologisk landbruk. Bind 2: Grønnsaker og potet. Bioforsk Fokus 3 (10): 156 s.
Blystad, D.-R. 2008. Rattelvirus i potet - forbedret testmetodikk og identifisering av stammer. An infectious cDNA clone of a Norwegian isolate of Poinsettia mosaic virus (PnMV) was generated. It consisted of 6,098 nucleotides and encoded a polyprotein of 219.5 kDa. Sequence comparisons indicated that this isolate shared 98.6% (nucleotide) and 97.1% (amino acid) identity with the previously sequenced isolate from Germany. RNA transcripts derived from this cDNA were infectious in Nicotiana benthamiana. However, plants did not present typical PnMV symptoms. Furthermore, RNA transcripts from this cDNA clone were not infectious in poinsettia. Serial propagation of this cDNA clone in N. benthamiana plants restored symptom induction in this host but did not re-establish infectivity in poinsettia. Clarke, J.L., Spetz, C.J.J., Haugslien, S., Blystad, D-R. & Moe, R. 2008. The potential of Plant Biotechnology- using transgenic poinsettia with resistance against Poinsettia mosaic virus as an example. Poinsettia (Euphorbia pulcherrima Willd. Ex Klotzsch), is a contemporary symbol of Christmas in most parts of the world. Today, Europe and North America represent the largest volume of production and sales, but demand is growing quickly in the other regions as poinsettia becomes more popular each year. In Norway, poinsettia is one of the most important pot plants, with a yearly production close to 6 million plants. Its ornamental value and innovation potential have laid the foundation for extensive research in Norway and elsewhere. Poinsettia mosaic virus (PnMV) is a RNA virus that belongs to the family Tymoviridae. Infection of poinsettia plants with PnMV results in mosaic symptoms during parts of the growing season and decrease the commercial value of this ornamental plant. Thus, growers are interested in the potential benefits of growing PnMV-free poinsettias. PnMV-free poinsettia plants can be obtained by heat treatment or in vitro culture of apical meristems, which are time-consuming and cost-ineffective methods. There is thus an urgent need for a new approach, like Agrobacterium-mediated transformation, which can overcome these difficulties. We have therefore developed an Agrobacterium-mediated transformation approach for poinsettia. Transgenic poinsettia plants with improved resistance against PnMV by expressing hairpin RNA constructs which targeted various regions of the virus genome were produced. Mechanical inoculation of PnMV and subsequent enzyme-linked immunosorbent assay (ELISA) confirmed the PnMV resistance. The siRNA analysis has demonstrated gene silencing mediated resistance. The PnMV resistant transgenic poinsettia lines produced are in the process of being commercialized. Because poinsettia is a non-food, non-feed plant and is not propagated through sexual reproduction, this is likely to be more acceptable even in areas where genetically modified crops are currently not cultivated. Agurkgrønnmosaikkvirus (Cucumber green mottle mosaic virus, CGMMV) er et svært smittsomt virus som hører til i Tobamovirus-slekten (samme slekten som tomatmosaikkvirus). CGMMV infiserer planter tilhørende gresskarfamilien (Cucurbitaceae). Hos oss er CGMMV bare å finne som skadegjører i agurk. CGMMV er påvist i mange land verden over - i andre land er det også påvist som skadegjører i vannmelon, melon og kalebass. Agurkgrønnmosaikkvirus er relativt vanlig forekommende i agurk i Europa, mens viruset har hatt en begrenset utbredelse i andre nordiske land de siste 25 årene med under 10 kjente tilfeller i hvert av landene i denne perioden. Etter at dette viruset ikke har vært funnet i Norge på over 20 år, har det nå dukket opp to tilfeller av dette viruset i Rogaland. Agurkgrønnmosaikkvirus er svært smittsomtl. Det er derfor er en utfordring å få til en god bekjempelse. Med godt kjennskap til symptomer, spredningsveier og mulige bekjempelsestiltak har vi imidlertid mulighet til å få til en vellykket kontroll av dette viruset. Bioforsk Rapport, 2(37) 2007. 16 s.
Blystad, D. 2007. Agurkgrønnmosaikkvirus - en kort risikoanalyse. Bioforsk Rapport 2(37). 16 s. Bioforsk Plantehelse, Ås. Tilgjengelig fra: http://hdl.handle.net/11250/2483061. Blystad, D.-R. 2007. Agurkgrønnmosaikkvirus - virussituasjonen i Norge. Pepinovirus i tomat - nytt EU-prosjekt. Denne presentasjonen tok for seg situasjonen angående agurkgrønnmosaikkvirus i Norge - de fire, nye tilfellene i 2007 og bekjemelsestiltak. Det ble også orientert om det nye EU-prosjektet angående pepinomosaikkvirus - PEPEIRA . Norge ved Bioforsk har en rolle som partner i dette prosjektet. Bioforsk TEMA, 2(5) 2007. 3 s.
Blystad, D. 2007. Agurkgrønnmosaikkvirus. Bioforsk TEMA 2(5). 3 s. Bioforsk. Tilgjengelig fra: http://hdl.handle.net/11250/2481216. Agurkgrønnmosaikkvirus (Cucumber grenn mottle mosaic virus, CGMMV) er et svært smittsomt virus som hører til i Tobamovirus-slekten (samme slekten som tomatmosaikkvirus) . CGMMV infiserer planter tilhørende gresskarfamilien (Cucurbitaceae). Hos oss er CGMMV bare å finne som skadegjører i agurk. Etter at dette viruset ikke har vært funnet i Norge på over 20 år, har det nå dukket opp et tilfelle av dette viruset. Dette gjør det aktuelt å se på noen fakta angående agrukgrønnmosaikkvirus. Blystad, D.-R. 2007. Agurkgrønnmosaikkvirus - nye funn - risiko. Foredraget fokuserte på nye funn av agurkgrønnmosaikkvirus i Norge i 2007. Viruset har ikke vært påvist siden 1983. Mulige smitteveier og aktuelle bekjempelsestiltak ble diskutert. Rapport – Friskt materiale av julestjerne ved behandling, karantene og fremavl. Årsrapport 2007. Julestjerne er en av Norges viktigste prydplantekulturer. Smitte av bomullsmellus (Bemisia tabacai) på importerte stiklinger er en av de største utfordringene for julestjernenæringen når det gjelder plantevern. Videre kan Poinsettimosaikkvirus (PnMV) være et kvalitetsproblem i enkelte julestjernesorter. Dette brukerstyrte prosjektet kom i stand fordi småplanteprodusenten G3 Ungplanter ønsket å ta tak i disse utfordringene, slik at de skal bli i stand til å levere rene planter av høy kvalitet til næringen. Prosjektet gjennomføres på oppdrag fra G3 Ungplanter, og er et samarbeid mellom Bioforsk Plantehelse, Universitetet for miljø- og biovitenskap (UMB) og Ljones gartneri. Formålet er å utvikle praktiske og skånsomme metoder for rensing av dette plantematerialet for bomullsmellus o.a. skadegjørere, lage et system for innslusing av importert plantemateriale, samt å undersøke hvordan poinsettiamosatikkviruset (PnMV) smitter og vurdere kvaliteten av PnMV-frie julestjerner. Prosjektet er konfidensielt. Clarke, J.L., Spetz, C.J.J, Haugslien, S. & Blystad, D.-R. 2007. Genetiske transformasjon av julestjerne og tobak. Poinsettia (Euphorbia pulcherrima Willd. Ex Klotzsch), is a contemporary symbol of Christmas in most parts of the world. Today, Europe and North America represent the largest volume of production and sales, but demand is growing quickly in the other regions as poinsettia becomes more popular each year. In Norway, poinsettia is one of the most important pot plants, with a yearly production close to 6 million plants. Its ornamental value and innovation potential have laid the foundation for extensive research in Norway and elsewhere. Two viruses i.e. poinsettia mosaic virus (PnMV) and poinsettia cryptic virus (PnCV) can cause diseases in modern poinsettia cultivars. PnMV gives visible symptoms in poinsettia during parts of the growing season. Growers show great interest in the potential benefits of growing PnMV-free poinsettias. Traditionally, PnMV-free poinsettia plants were obtained by in vitro culture of apical meristems. However, this is a time-consuming method and the regenerated new PnMV-free poinsettia has sometimes lost the branching characteristic which is important for poinsettia. We have therefore developed an Agrobacterium-mediated transformation approach for poinsettia. Using this method, we have produced transgenic poinsettia with improved resistance against PnMV by expressing three hairpin (hp) RNA gene constructs which targeted various regions of the virus genome. Molecular analyses have confirmed the stable integration of transgenes into the poinsettia genome. This is the first report describing Agrobacterium-mediated transformation of poinsettia. The PnMV resistant transgenic poinsettia lines produced are of commercial potential. The methodology developed could also facilitate the further improvement of this ornamental plant with the aims of enhancing its disease resistance, quality traits, desirable colour and ornamental value. We have also transformed N. benthemiana to reveal the relationship of different vector constructs and the RNA silencing mediated PnMV resistance. This result will imrpove our understanding of RNA silencing mediated resistance through genetic engineering. G3 Ungplanter har gått sammen med Bioforsk Plantehelse og Universitetet for miljø og biovitenskap om et brukerstyrt prosjekt som skal sørge for at gartnerne får julestjernestiklinger av høy kvalitet uten bomullsmellus og andre skadegjørere. Vi er nå i ferd med å utvikle metoder for å rense julestjernestiklingene ved mottak, lage et system for innslusing av importert plantemateriale og vurdere kvaliteten av virusfrie julestjerner. Foredrag – Mulig vintertest i Norge? Blystad, D.-R. 2007. Mulig vintertest i Norge? Stensvand, A., Blystad, D.-R., Hammeraas, B. & Trandem, N. 2007. Skadegjørere på jordbær. Spetz, C.J.J., Ørstad, K. & Blystad, D.-R. 2007. Sterke virus i potet . Blystad, D.-R. 2007. Vintertest for virus i potet. Bringebær er det av bærslagene våre som er mest utsatt for virusproblemer. Det skyldes både at vi har mye villbringebær som fungerer som reservoar for virus og vektorer og at bringebær står lenge i feltet. Bringebær kan infiseres av forskjellige virus med forskjellig spredningsmåte: jordboende, nematodeoverførte virus; bladlusoverførte virus og pollenoverførte virus. Det viktigste bekjempelsestiltaket er å starte med friskt plantemateriale. Blystad, D-R. 2007. Virus og viroider. Nå i 2006 er det 10 år siden vi fant det første tilfellet av tospovirus i et kommersielt gartneri i Norge. I løpet av disse 10 årene har tospovirus gjort skade i mange gartnerier. Vi har også funnet andre, nye virus i gamle og nye blomsterkulturer. Dette synliggjør en utvikling der vi år for år kan registrere nye skadegjørere i kjente kulturer, men også nye skadegjørere som dukker opp i nye blomsterkulturer " kulturer som i utgangspunktet kunne virke tilnærmet frie for skadegjørere. Denne artiklen omtaler tospovirusene tomatbronsetoppvirus (Tomato spotted wilt virus) og Impatiens-nekroseflekkvirus (Impatiens necrotic spot virus), dessuten Calibrachoa mottle virus, tobakkmosaikkvirus (Tobacco mosaic virus), Nemesia ring necrosis virus og agurkmosaikkvirus (Cucumber mosaic virus). Friskt, sortsekte utgangsmateriale for formering av vegetativt formerte vekster er et viktig tiltak for å bekjempe virus og bakterier. Enkelte arter av sopp, nematoder og insekter kan også følge plantematerialet, og et friskt formeringsmateriale er en forutsetning for en vellykket bekjempelse. Prosessen for å framstille et slikt materiale kalles fremavl. Fremavl krever samspill mellom brukere, foredlere, FoU-miljøer, kontrollorganer og politiske myndigheter. Et slikt samspill er godt utviklet i Norge og gir sammen med et kjølig klima og god avstand mellom produksjonsenhetene gode muligheter for produksjon av friskt plantemateriale. Artiklen beskriver det norske fremavlssystemet og beskriver eksempler på vellykket bruk og markedsføring av fremavls-materiale av blomster og grøntanleggsplanter. Poinsettia, Euphorbia pulcherrima Willd & Klotsch, is an ornamental flower which grows in many countries. Two viruses i.e. poinsettia mosaic virus (PnMV) and poinsettia cryptic virus (PnCV) can cause diseases on modern poinsettia cultivars. To produce virus-resistant poinsettia plants, genetic transformation has been considerated. Since there is no established method available for the transformation of poinsettia, we have chosen an electrophoresis-based transformation method to generate poinsettia transformants. The main advantage of this method is that we can avoid the time-consuming tissue culture and regeneration procedure. To develop a reliable transformation method, the green fluorescent protein (GFP) gene has been used as a reporter gene. Here, we report our preliminary results. Poinsettia (Euphorbia pulcherrima) is a major ornamental pot plant in many countries. Two viruses, poinsettia mosaic virus (PnMV) and poinsettia cryptic virus, often infect modern poinsettia cultivars. To produce virus-resistant poinsettia plants, genetic engineering has been considered. Since there is no established method available for the transformation of poinsettia, we have chosen an electrophoresisbased transformation method to generate poinsettia transformants. The main advantage of this method is that we can avoid the time-consuming tissue culture and regeneration procedure. To develop a reliable transformation method, the green fluorescent protein (GFP) gene has been used as a reporter gene. Here we report our preliminary results. The role of light in control of cyathia abscission and bract discolouration in poinsettia (Euphorbia pulcherrima) is unclear. The aim of this work was to study the involvement of photosynthetic photon flux (PPF) and extended photoperiod from 10 to 13, 16 or 24 hours with supplemental lighting at the end of the culture period on development of bract discoloration at marketing stage of the plants, and the postharvest performance of cyathia abscission in interior climate of two poinsettia cultivars, `Lilo" and `Millenium". The plants were grown at different photoperiods with supplemental PPF of 73 and 146 µmol m-2 s-1 at plant level. The extended supplemental light treatments were given for one, two or three weeks at the final cultivation period before marketing stage. Extended photoperiod from 10 up to 24 h had no influence on discolouration of the bracts as black and greenish areas of the bract in `Millenium". In contrast, `Lilo" developed serious bract discoloration at photoperiods longer than 13 h. The most serious symptom appeared at 24 h and three weeks of exposure time. Extended photoperiods with supplemental lighting enhanced cyathia abscission at the end of the culture time and during the postharvest test in interior climate. `Millenium" had a better ability to retain cyathia than `Lilo". It is concluded that poinsettia plants should be grown in a photoperiod not longer than 13 h in order to maintain a low rate of cyathia abscission at the end of the production period and during the first 2-3 weeks in interior climate. Pepinomosaikkvirus har forårsaket mye bekymring i mange land siden det først ble påvist i Nederland og England i 1999. I Norge har vi bare hatt to kjente tilfeller " det første var i 2001, det andre i 2003. Utover dette har ikke pepinomosaikkvirus vært påvist i norske gartnerier. Det har imidlertid tidvis vært mye symptomer som ligner de pepinomosaikkvirus forårsaker på importerte tomatfrukter. De siste årene har det dukket opp mer alvorlige stammer av viruset. For norske dyrkere og veiledere er det fortsatt viktig å være klar over symptomer og smitteveier slik at en kan stoppe et eventuelt utbrudd av dette viruset så raskt som mulig dersom det skulle forekomme nye tilfeller av dette viruset her i landet. I Norge gir dette viruset først og fremst skade i potet. Det er ett av to virus som gir nekrotiske ringer i potetknoller. Men som hagebruker blir en først og fremst kjent med viruset gjennom de symptomene en kan se i stauder, og blant dem er peon den viktigste. Symptomene i peon kan bestå i alt fra svak fargeskifting i de grønne bladene " mosaikk " til kraftige gule båndmønstre og ringstrukturer. The relative distribution of PoiBI in different tissues and in different parts ofthe plants was quantified using the comparative Ct method and a new developed TaqMan real-time PCR assay. Five samples were analysed from each of six different nodes equally distributed along the height of the plant. Also samples from the top of the plant, from the stem base and the primary and secondary roots were studied. The quantitative real-time PCR test proved to be a very sensitive test. Highest level of phytoplasma was found in the bark samples while the stem core samples contained little or no detectable phytoplasma. The lack of accumulation of phytoplasma in sink tissues indicates restricted phloem translocation of PoiBI. There were large plant-to-plant variations in PoiBI content and further studies including more plants will be needed in order to reveal the general distribution of PoiBI and its possible correlation to branching in poinsettia. Friskt, sortsekte utgangsmateriale for formering av vegetativt formerte vekster er et viktig tiltak for å bekjempe virus og bakterier. Enkelte arter av sopp, nematoder og insekter kan også følge plantematerialet, og et friskt formeringsmateriale er en forutsetning for en vellykket bekjempelse. Prosessen for å framstille et slikt materiale kalles fremavl. Fremavl krever samspill mellom brukere, foredlere, FoU-miljøer, kontrollorganer og politiske myndigheter. Et slikt samspill er godt utviklet i Norge og gir sammen med et kjølig klima og god avstand mellom produksjonsenhetene gode muligheter for produksjon av friskt plantemateriale. Eksempler på vellykket bruk og markedsføring av fremavls-materiale er G3 Ungplanter sin satsning på blomster og E-plant Norge sin produksjon av grøntanleggsplanter. Fri forgreining i julestjerne forårsakes av et fytoplasma, en bakterielignende organisme beskrevet som "Poinsettia branch inducing phytoplasma". I forskningsprogrammet: "Fundamental studies on postharvest physiology end plant health" har vi studert den relative mengden av slikt fytoplasma på ulike punkter inne i julestjerneplanter. Så langt kan vi måle variasjoner i fytoplasmamengde innen den enkelte plante, og mellom sortene "Lilo" og "Millenium", samt mellom ulike temperaturer og lysnivåer. Karanteneskadegjøreren pepinomosaikkvirus (Pepino mosaic virus) regnes som en av de mest alvorlige virussjukdommene på tomat i Europa. Viruset er svært smittsomt og kan føre til betydelig avlingstap. Det er ikke etablert i norsk tomatproduksjon. Populærvitenskapelig – Poinsettiamosaikkvirus i julestjerne. Sharkavirus (Plum pox virus) er en karanteneskadegjører som angriper plomme og noen andre Prunus-arter. Angrep kan medføre nedsatt fruktkvalitet og betydelig avlingsreduksjon. Tomatbronsetoppvirus (Tomato spotted wilt virus) og Impatiens-nekroseflekkvirus (Impatiens necrotic spot virus) er begge karanteneskadegjørere som kan gjøre stor skade i en rekke veksthuskulturer av grønnsaker og blomster. De er ikke etablert i Norge.Virusene har samme spredningsmåte, gir ofte like symptomer og omtales derfor her felles som tospovirus. The 8th International symposium on Plum and Prune. Sharka. Grønn kunnskap e 112D(8) 2004. s. 1-2. Dette sammendraget beskriver forekomsten av sharkavirus i Norge, både funnet av sharkavirus på Njøs i 1998 og kartleggingsarbeidet i årene 1998-2003. Grønn kunnskap e, 7(120) 2003. 5 s.
Blystad, D. 2003. Sharkavirus på Plomme - en farlig virussjukdom. Grønn kunnskap e 7(120). 5 s. Planteforsk. Tilgjengelig fra: http://hdl.handle.net/11250/2505834. Sharkavirus på plomme (eng. : plum pox potyvirus) er et av flere plantevirus som kan infisere plomme, men er mer skadelig enn de andre fordi det gir alvorlige fruktskader. Artikkelen inneholder en god del symptombilder. Grønn kunnskap e, 7(127) 2003. 2 s.
Blystad, D. 2003. Tospovirus - farlige virussjukdommer. Grønn kunnskap e 7(127). 2 s. Planteforsk. Tilgjengelig fra: http://hdl.handle.net/11250/2505832. To farlige skadegjørere i virusslekten tospovirus har gjort skade i norske veksthuskulturer de siste årene. Tomatbronsetoppvirus (tomato spotted wilt tospovirus) og Impatiens-nekroseflekkvirus (Impatiens necrotic spot tospovirus) står på listen over karanteneskadegjørere som ikke skal finnes her i landet. Begge virus kan forekomme i våre veksthuskulturer, har samme spredningsmåte og ofte like symptomer. De omtales derfor her under betegnelsen tospovirus. Artikkelen gir en oversikt, med bilder, over kjente årsaker til bladdeformasjoner i julestjerne. Det er utført en rekke forsøk for å finne forklaringer på spontane bladdeformasjoner som opptrer fra tid til annen i julestjernekulturen. Så langt er det klart ar virus ikke er årsak til de vanligste skadene. Det er observert naturlig spredning av poinsettiamosaikkvirus i norske veksthus. Det er ikke tidligere publisert noen naturlig spredningsveg for dette viruset. Vi har forsøkt å vise overføring med jord ved å vanne virusfrie julestjerner med virusløsninger. Vi fant smitte i 3 av 164 planter men avskriver vann og jord som årsak til observert spredning. Populærvitenskapelig – Vekstlys, kvalitet og holdbarhet hos julestjerne. Forsøk med økende daglengde med vekstlys i avslutningen av kulturen i julestjerne har vist: Sorten "Lilo" utvikler seg ikke raskere selv om lysmengden øker, sorten får også lys-skader og dårligere holdbarhet. Sorten "Millenium" får ingen synlige skader og utvikler seg raskere ved økte daglengder. Begge sortene får redusert holdbarhet ved daglengder over 12 t.
Forsøk med vekstregulering i julestjerne gikk ut på å kartlegge om sterk temperaturdropp, ulike doseringer av cycocel sprøyting og modifisering av lyskvaliteten under dyrkingen har innflytelse på strekningsvekst, blomsterutvikling og holdbarhet hos "Lilo" og nye sorter som er blitt introdusert på markedet. Beskrivelse av symptomene på julestjernemosaikkvirus i julestjerne. Resultater av forsøk på å rense flere julestjernesorter for viruset. Effekter av rensing, og observert reinfeksjon av virusfrie julestjerner. Populærvitenskapelig – Importerte kjøpetomater - ikke noe for tomatdyrkere! Advarsel beregnet på tomatdyrkere mot å håndtere importerte tomater fordi de kan være en smittekilde for pepinomosaikkvirus. The first Baltic/Nordic workshop in Plant Virologi, Kaunas, Litauen, 2001. Flere virus gjør skade på økonomisk viktige kulturer i Norge. Følgende ble spesielt omtalt. Agurk: melonnekroseflekkvirus, Kalanchoe: kalanchoemosaikkvirus, Julestjerne: pointsettiamosaikkvirus og fytoplasma. Oversikt over arter og sorter av blomster som nå er tilgjengelig som skadegjørerfritt materiale. Fremavl er viktig for norske gartnere for å sikre virusfritt materiale som er fritt for farlige skadegjørere som tomatbronsetoppvirus. Abstract 7th International Congress of Plant Pathology, Edinburg, Scotland 9-16 August 1998, 2 1998. Denne rapporten gir en oversikt over hva som er kjent angående forekomst av plantevirus i Norge. Etter en generell introduksjon til plantevirologi beskrives sjukdommer i forskjellige vekster som er forårsaket av plantevirus. Denne delen av rapporten avsluttes med en opplisting av de viktigste plantevirus i Norge og diskuterer hvilke virussjukdommer som i Norge kunne kontrolleres ved hjelp av transgene virus-resistente planter. Jordboende virus og pollenoverførte virus er vanskeligst å kontrollere med vanlige metoder for virusbekjempelse. I Norge bruker vi i dag fremavl for å framstille virusfrie, friske morplanter av vegetativt formerte vekster som potet, frukt, bær og enkelte blomsterarter. Virus som reinfiserer disse vekstene sakte vil være av mindre betydning. Jordboende virus og pollenoverførte virus er tilstede der friskt plantemateriale plantes og kan ikke kontrolleres ved hjelp av friskt plantemateriale. Viktige eksempler på slike virus er: rattelvirus (jordboende) og potetmopptoppvirus ( jordboende) i potet, bringebær-ringflekkvirus (jordboende) og bringebærdvergbuskvirus (pollenoverført) i bringebær, melon-nekroseflekkvirus (jordboende) i agurk og Prunus-ringflekkvirus (pollenoverført) og plommedvergsjukevirus (pollenoverført) i plomme og kirsebær. Bruk av transgene, virusresistente planter kan være en forsvarlig måte å kontrollere disse virus på, dersom miljømessige risiki blir holdt på et lågt nivå. Den siste delen av rapporten består av tabeller som oppsummerer det som er kjent om forekomst av plantevirus i forskjellige vertplanter i Norge. I Norge er bringebær blitt en viktig bærkultur, mens bjørnebær og sjalottløk har et stort potensiale for økt produksjon og forbruk. Alle tre er vegetativt formerte og er ofte infisert med flere plantevirus som kan gi betydelige tap av avling og kvalitet. En stabil produksjon med høy kvalitet forutsetter diagnostikk av plantevirus, virusrensing og en sikker oppbevaring og dyrking av friske morplanter. NIBIO, i samarbeid med Sagaplant, NMBU, Gartnerhallen og Norsk Genressurssenter søkte derfor dette prosjektet for å styrke utviklingen for disse kulturene.